SOUTH CAROLINA -- Eric Rogers, 29, attended a preliminary hearing Tuesday morning, for the man accused of owning the dogs that attacked him in February. Rogers works for the SC Department of Health and Environmental Control and was investigating a dog bite case when the two pit bulls attacked him. He was nearly mauled to death and has had to go through a major surgery and several skin grafts. Douglas E. Jennings, one of Rogers' attorneys, said Rogers has a long road ahead of him. "He's scheduled for a reconstructive surgery for his ear in the coming months. And another reconstructive surgery for his nose and facial scarring. And he also has a long way to go with the skin graft he had done on his arm. He definitely has a significant and tough road ahead of him. And he is doing well and fighting through it," said Jennings. Rogers isn't ready to talk about what happened just yet, but his attorney said Rogers felt compelled to be at the hearing. "Eric wanted to be here to show that he is supporting a full prosecution to ensure that these type of things don't happen to anyone else. He doesn't want any of these types of things don't happen to anyone else. He doesn't want anyone else to experience what he's had to go through in the last two months," said James Brogdon, III. 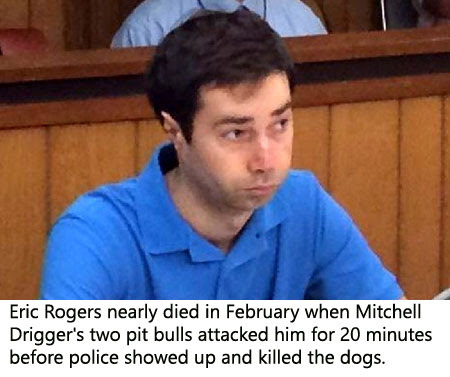 A judge found there's sufficient evidence that Mitchell Driggers owned the dogs that attacked Rogers. Driggers has said all along only one of the pit bulls belonged to him, and the other dog was just always around his property. Driggers believes it wasn't his animal that attacked Rogers. 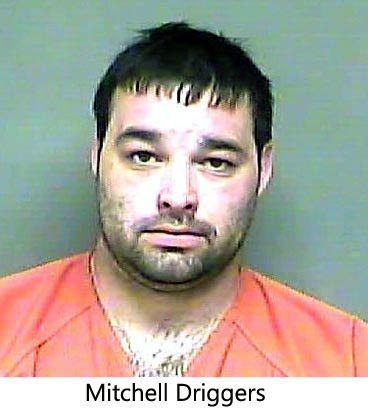 A Dillon County Grand Jury could decide next week if Driggers should be indicted. NORTH CAROLINA -- Lincoln County Sheriff’s deputies said a man was arrested and charged with cruelty to animals after he was found choking a Chihuahua. Officers said they were called to a home in Maiden for a domestic disturbance. When they arrived, officers said Jason Tyler Hilderbran, 18, was holding his mother’s Chihuahua and choking it. Deputies said Hilderbran was choking the dog because it was barking at him. His mother was trying to get the dog. The dog was not injured. 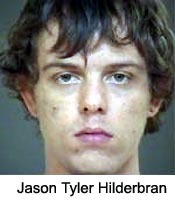 Hilderbran was charged with one count of cruelty to animals. He was released on a $1,000 secured bond. MASSACHUSETTS -- Was Capone a good dog or a bad dog? That's the central disagreement between a pet owner whose dog was put down this week and the shelter volunteers who say the action was justified. On April 20, Maghan Moynahan was getting ready for Easter Sunday church service with her two children, 4 and 8, when their dog Capone started coughing. 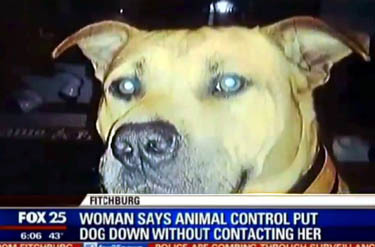 She said they removed the 2-year-old shepherd-pit bull mix's collar out of concern it might be irritating his throat. A little while later he escaped through an open door and would not come back when called. Moynahan and her family say they looked for the dog and left a telephone message for Fitchburg Animal Control Officer Sue Kowaleski to let her know the dog was loose without his identifying collar. She said Kowaleski was familiar with the dog from past instances when he had gotten loose. Moynahan said she later learned that Kowaleski was out sick for a few days and did not get the message. "He was a perfect dog, with no signs of aggression," said Moynahan. Moynahan insisted Capone had always been a sweet, gentle dog that she trusted around her children. Gabriel Lorman, 22, of Fitchburg, said that after Capone escaped, the dog somehow entered his building. Lorman held him there until animal control arrived. Moynahan does not believe the stories from shelter volunteers that Capone was aggressive and attacked another dog in the shelter, which lead to his euthanization within 48 hours of his escape. Lorman called the city's euthanization of Capone "ridiculous" and unjustified. "He was friendly to me and my girlfriend," said Lorman. "He wasn't vicious. The only thing he growled at was my dog... and he growled at the dog officer. I was with him pretty much the whole day and that's about it." 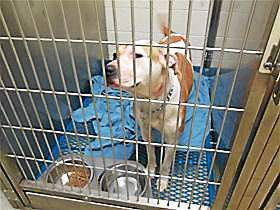 Assistant Animal Control Officer Michael East declined to comment, citing the Fitchburg Police Department's ongoing investigation of Capone's euthanization. 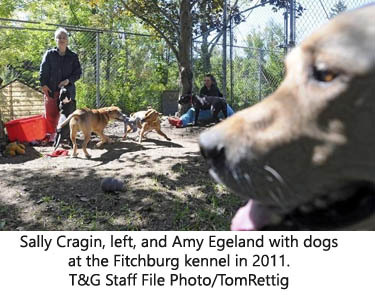 Amy Egeland (aka Amy Leach), the part-time manager of the Fitchburg Animal Shelter, also said she is unable to comment because of the investigation. The shelter is mostly staffed by volunteers, including Carol Stacy who said Capone was a vicious, aggressive dog that indirectly caused Egeland to be injured and was a known problem animal in another city. Another source identified that city as Lawrence. Calls to Lawrence police and animal-control departments to confirm this were not immediately returned. "It wasn't that sweet little dog people are making it out to be," said Stacy. Stacy said East had to bring Capone back from Lorman's home with a catchpole, which is loop at the end of a long pole that protects the user from being bitten. In Fitchburg, stray dogs are put in caged enclosures that are officially under the domain of the animal control division. After one week, the animals are moved to a different area and are under the domain of the Fitchburg Animal Shelter. In both stages, the same shelter volunteers feed and care for the dogs. Stacy said Capone was aggressive and tried to escape his cage in front of Egeland and visiting certified animal experts who train and evaluate the visitors. 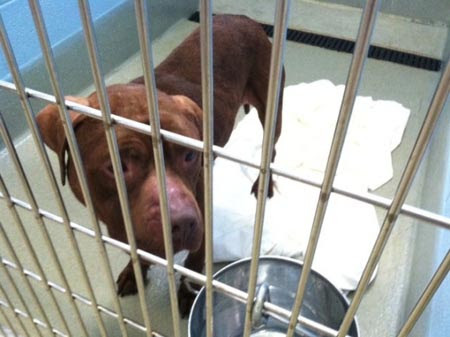 Stacy said Capone got halfway out of his cage and attacked another dog, which became agitated and attacked Egeland. "It was kind of a mess," said Stacy. She said Capone also ripped up part of the chain-link fence in his cage. Since the dog was in the custody of animal control, Stacy said it was the animal-control division's decision to euthanize the animal. She said Kowaleski was notified of what happened but did not see Capone. Kowaleski authorized East to euthanize the animal, Stacy said. Moynahan said she got a call from Kowaleski last Tuesday, less than 48 hours after Capone ran off, in which she asked her to come identify the dog's body. "I don't understand what happened," said Moynahan. "The story, it doesn't make sense." Moynahan maintained Capone was a well-behaved dog that she would take for baths and other appointments without incident. When asked what she wants to happen now, Moynahan said she wants whoever authorized the euthanization of Capone to lose their job. Captain Linda Swears of the Fitchburg Police Department confirmed that the investigation of exactly what happened, and how Capone acted, is ongoing. 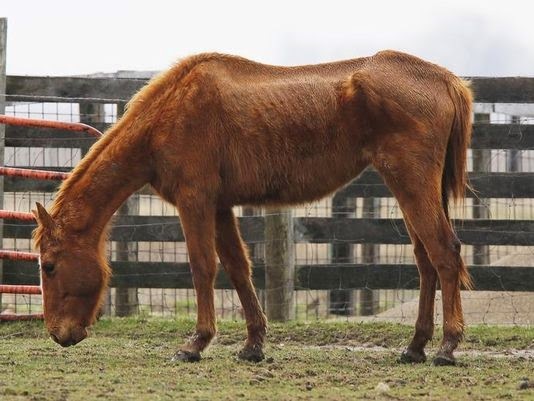 INDIANA -- An emaciated horse continues to recover while Tippecanoe County's animal control officer pursues filing charges against the horse's former owner. 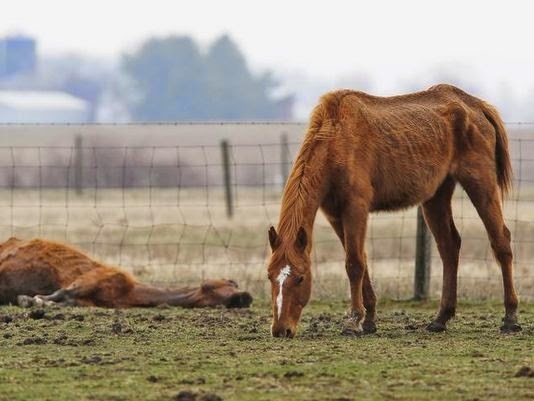 On April 8, animal control officer April Keck, responding to a citizen complaint, found a dead horse and another severely emaciated in the yard at 8218 S. County Road 550 East. The horses had resorted to eating tree bark in an unsuccessful bid for nourishment. 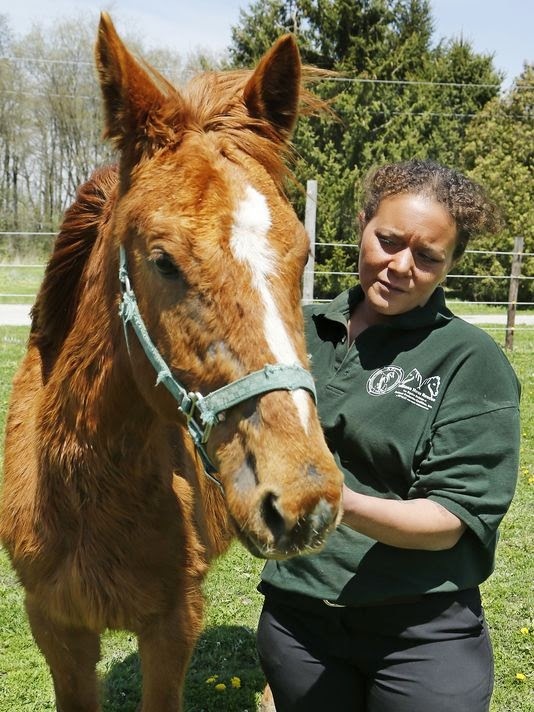 The surviving horse, a 6-year-old quarter horse named Little Bit, was removed the next day and, thanks to an outpouring of donations from the public, transferred to Indiana Horse Rescue's Frankfort facility. Keck said she plans to submit her report to the prosecutor's office and is recommending that charges to be filed against James Fitzsimons, who has relinquished ownership of the horse. "I am going to be pushing for charges," Keck said Monday. "I'm just not sure if it will be in the realm of animal neglect or animal cruelty. I'm hoping for a prosecution of some sort." Meanwhile, Little Bit continues to gain weight at Indiana Horse Rescue Central. From the moment rescue personnel approached the mare on April 8, it became clear she was a fighter. "She actually made them chase to catch her," facility manager Jamie Showers said. "Right there it indicated to us she wasn't just ready to lay down and die. She was ready to run and be a horse but didn't have the nourishment to do so. Now she's got a lot of fire. She wants to kick up her heels. She's showing behaviors more horselike than (just meant to) preserve life." Little Bit required constant attention the first 24 hours. Evaluations by a veterinarian and a dentist found the horse severely malnourished with parasites and a possible skin condition. Sharp points in her teeth — likely from lack of use — had created sores. The space between her thighs was so great a football could fit through without touching skin. Three weeks into her recovery, Little Bit has gained more than 40 pounds. She receives three meals a day with ample time to graze. Too brittle to be placed with other horses, she grazes alone. When she feels up to it, she runs. But there's a long road ahead. Volunteers and staff monitor her regularly. In her bedroom, Showers has a video monitor of Little Bit's stall. "She's up there with some of the worst we've seen," Showers said. "She's lucky in that she's young enough to come back from this. A lot of times we'll see this with older horses, and they don't have the constitution to come back." Little Bit's personality has begun to show. "I like to say she's got a lot of fight in her," Showers said. "She has opinions about things. If she doesn't want to do something, she has no problem turning around and biting or kicking at you." Fitzsimons has declined to comment to the Journal & Courier. He buried the dead horse on his property. Keck said she has had limited contact with Fitzsimons since an initial interview. During that conversation, he indicatedthat he could not afford to feed the horses, she said. Keck said the progress the horse has made with regular feeding makes her believe charges against Fitzsimons are warranted. "What it came down to was basically no care from the owner," she said. 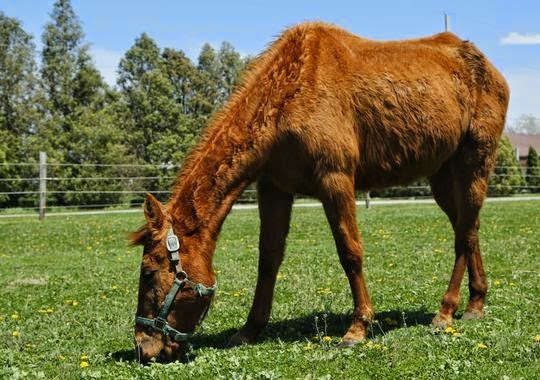 "The only thing Indiana Horse Rescue has done is introduce regular feeding and parasite control, which is something all horse owners are responsible for. That just shows a lack of care on the owner's part." To donate and support Indiana Horse Rescue, visit the website at www.ihrcentral.com or contact the facility at 765-601-4104. VIRGINIA -- The Peninsula SPCA is now home to more than a dozen pit bulls rescued in Hampton Tuesday afternoon. Neighbors watched as animal control officers descended on Abbey Court around 3:30 p.m. to remove the dogs from unsafe living conditions. 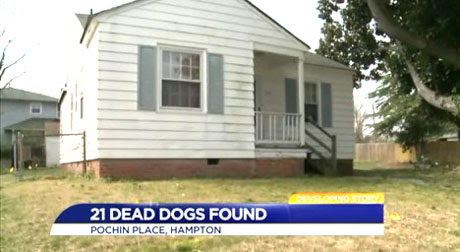 “I stopped counting after 10 dogs, and I’m literally standing in my window like one, two, ok, and they had three trucks out there, animal trucks, and pretty much filled up all three of the trucks,” said resident Nichele Hakeem, who saw it all go down. According to Sgt. Jason Price, Public Safety Communications received an anonymous tip around 1 p.m. about multiple dogs being neglected at a residence there. 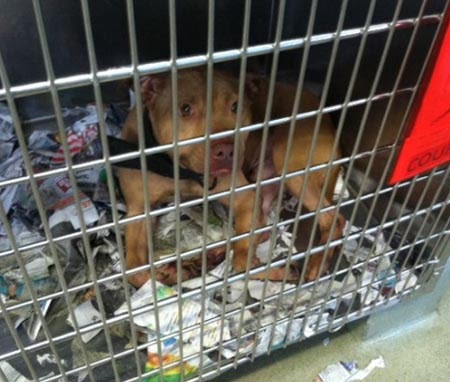 When Animal Control officers went to the house and talked with the owner, they noticed several pit bulls in makeshift kennels and crates, sitting in mud and feces. Price said probable cause was established and 16 pit bulls, both adults and puppies, were seized from the property. 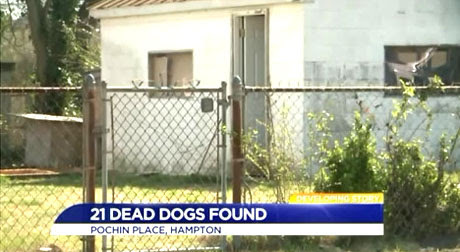 The dogs were taken to the SPCA on J. Clyde Morris Boulevard in Newport News to be evaluated. So far, police say there has been no evidence to indicate any dog fighting activity was taking place at the residence. 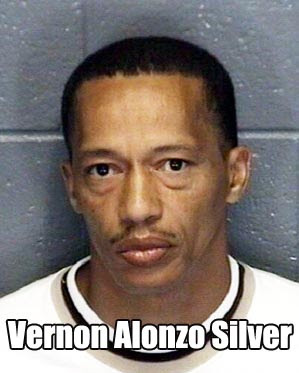 However, there are other charges pending against the owner, 48-year-old Vernon Alonzo Silver. 10 On Your Side tried to speak with the owner, but he declined an interview. Anyone with information that may help police with this investigation is asked to call the Crime Line at 1-888-LOCK-U-UP. ARIZONA -- The same animal rights activists who fought to save a pit bull named Mickey, after it mauled a child, are now trying to save another dog with a troubling past. Rambo, a one-year-old Rottweiler, arrived at Rotten Rottie Rescue in Gilbert, Ariz., a month ago. Prior to arrival, Rambo reportedly bit two people. In his month at the rescue, the rescue's owner says Rambo has attacked at least four more people, including people who have tried to adopt him. 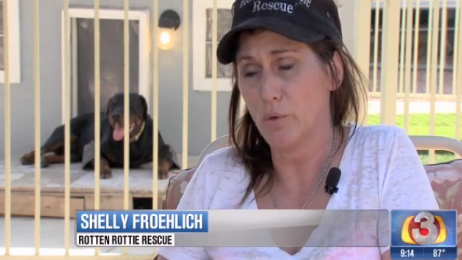 "And none of it was provoked," Shelly Froehlich, who runs the rescue, told 3TV. "Some of the bites have gone down to the bone. He's Dr. Jekyll and Mr. Hyde," she said. Following the sixth alleged attack, Froehlich decided she wanted to euthanize Rambo. "It's not an easy decision, but I think some dogs are wired wrong, like people, and have mental illnesses like we do," she explained. Animal rights activists learned of her plans, and launched a social media protest. 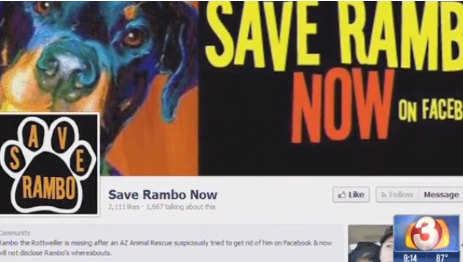 A "Save Rambo Now" Facebook page garnered thousands of "likes" in one week. Another page has been created to raise money to rehabilitate Rambo with a special trainer. Followers of the pages have attacked Froehlich, criticizing her for taking steps to put down one of her rescue dogs. They insist Froehlich put the young dog in unstable situations, which led him to lash out. Members of the group say dogs like Rambo can and should be rehabilitated. Several have offered to take him, and adopt him. Froehlich is refusing to allow an adoption at this point, fearing another attack. 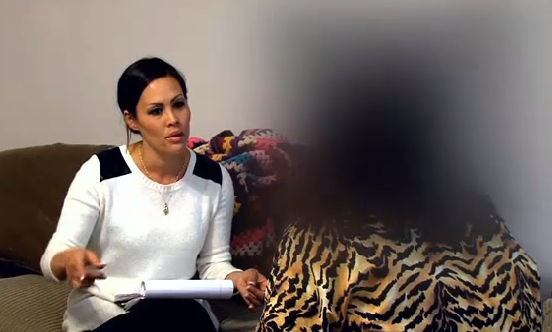 "I don't want to take a chance that a child's going to get its face ripped off," she said. Her decisions have enraged animal rights groups, who remain focused on saving the dog. "I've received tons of messages and emails. They called the police on me. I have thousands of people trying to put me out of business because of this," she said. Froehlich says she has euthanized three dogs in the last two years. 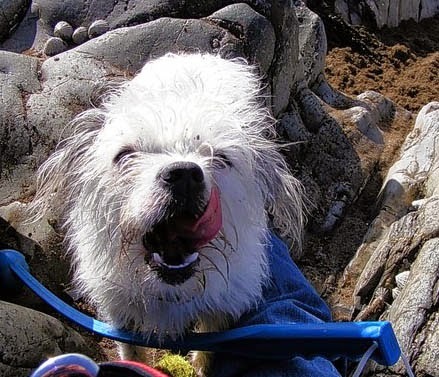 "The money I'd use to rehab Rambo could be used to help a lot of other dogs," Froehlich said. A compromise plan fell apart Monday night. Froehlich found a trainer in North Carolina who said he could rehab Rambo. Another woman who wanted to adopt the dog was going to pay for his travel. The deal fell through, because the trainer said his schedule is booked. For now, Rambo remains in a pen with a large, air-conditioned dog house. His future is up in the air. GEORGIA -- A Murray County Sheriff’s Office deputy is recovering after one of the department’s drug dogs bit him in the face on Monday. Fowler said Morrison wanted to take his picture with the dog, so he knelt down with a camera phone and wrapped his arm around the dog’s neck. That response was to bite the lower part of Morrison’s face, ripping it up so badly he had to be taken to Hamilton Medical Center and eventually received several stitches, Fowler said. He said the dog’s handler didn’t have time to react before the dog attacked, but the dog quickly backed off once the handler gave a command to stop. Fowler said the dog is current on all of its shots and hadn’t bitten anyone before. Fowler said the sheriff’s office’s animal control division is completing a report on what happened. A message left on Tuesday for animal control director Diane Franklin wasn’t immediately returned. Calling the situation “an unfortunate accident,” Fowler said Morrison is expected to be OK but is on pain medication. PENNSYLVANIA -- Hornerstown resident Robert “Bobby” Williams said he endured two hours of surgery, suffered a heart attack and fears he may never again be able to fully use his right arm. His fears may be justified. 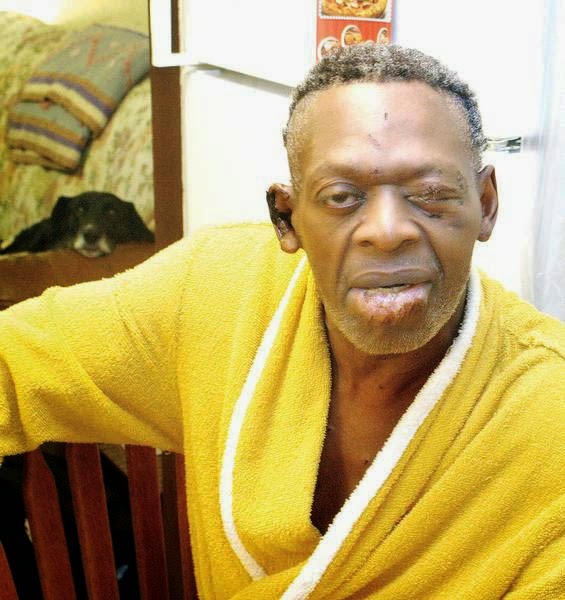 Williams, 56, was badly mauled by two brown pit bulls Friday at the corner of Poplar and Pine streets. Wearing a yellow bathrobe hiding the stitches that cover his body, Williams shared the gruesome story Wednesday from the kitchen of his Pine Street home. Williams said he was walking home from Kernville at 10:30 p.m. when he stepped into the path of the snarling canines. “I remember I was getting ready to turn the corner and I seen these two dogs,” he said. “As soon as they seen me they just charged on me. They knocked me down. Williams estimates the attack lasted 10 or 12 minutes. A woman suddenly ran to him attempting to kick the dogs. Someone else wielded a broom. A neighbor shot and wounded one of the dogs, police Sgt. Patrick Goggin said. 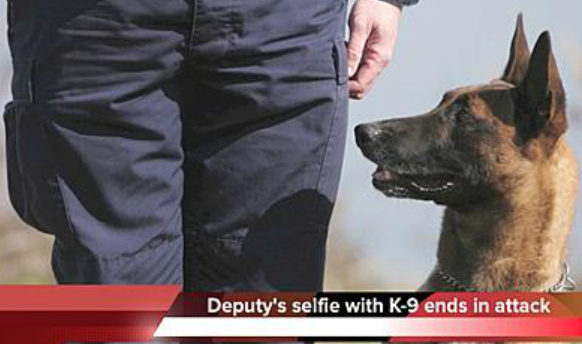 A police officer shot and killed the other dog, he said. Police Chief Craig Foust said the investigation is continuing and the family that owns the animals is expected to be charged with harboring dangerous dogs. The vicious attack sent Williams to Memorial Medical Center for surgery. Physicians told Williams he also had suffered a heart attack during the attack. That’s something Williams said he was unaware of. UNITED KINGDOM -- Johanna McQuillan is lucky to be alive after the Staffordshire bull terrier ­repeatedly sank its fangs into her arms, legs and back, the Daily Record reported. Her dad John wrestled the beast off but it attacked her again and is still on the loose. John, 74, said: “That dog wanted to kill and I thought she was a goner. She suffered 17 separate wounds and needed two hours of surgery to repair tissue damage after the attack off Ayr’s Craigie Road near the racecourse. Police are hunting for the animal. Johanna, a primary five pupil at St Patrick’s Primary in Troon, was playing with her three-year-old sister Filia on Friday at 10am when the dog pounced. Dad-of-five John clutched Filia in his arms as he tried to fend it off. He hauled it away but it prowled round them and attacked a second time before John bravely dragged it from the park. The retired teacher told our sister paper the Ayrshire Post: “I’ve never seen anything like that before. It was wild and ferocious and wanted to kill. It is very important it is found and destroyed otherwise it will happen to someone else. “Johanna was screaming and screaming as it bit her repeatedly on her arms, legs and back as she bravely tried to fight it off. He managed to haul the dog to the park gate but it got away and came back for Johanna. “That dog wanted to kill her. It wanted to finish her off. I was panic-stricken and I thought it was hopeless and she was going to die. 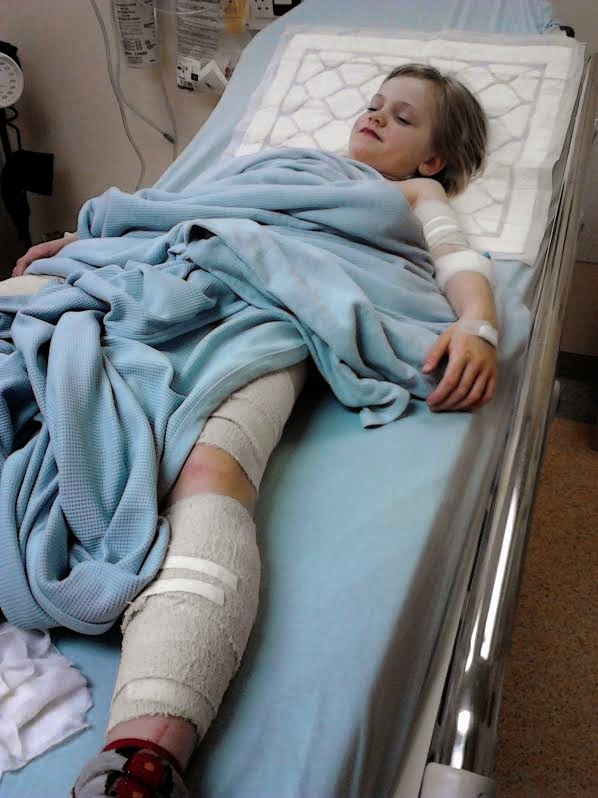 The worst injury was to the girl’s left thigh, which left the flesh on her leg exposed. John and wife Agnes, 41, a former nurse, are helping Johanna get over her ordeal. Johanna said: “The pain is not too bad and I was terrified. Police removed items of clothing and took DNA samples in the hope of tracing the dog but it has not been seen. 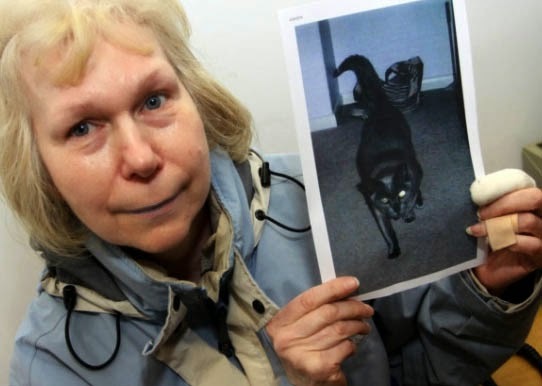 They said: “It is a priority to trace the dog which is believed to be a grey Staffordshire bull terrier. Child attacked by pit bull; local vet chimes in that "pit bulls get a bad stereotype". SOUTH CAROLINA -- A 9-year-old Cheraw girl is recovering after police say she was attacked by a pit bull on Chestnut Street Wednesday afternoon. The girl was bitten three times. Her uncle said the child was walking with her mother when the neighbor's dog attacked her. "He just latched on to her. He's a pit bull. A pit bull will whips on to you. 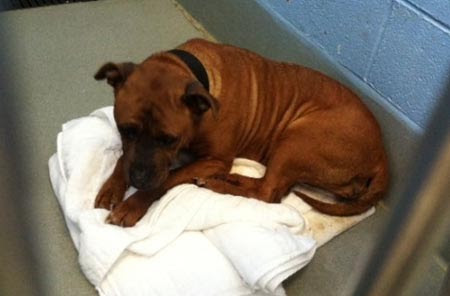 A pit bull gripped on to her and wouldn't let her go. They had to beat the dog off her," said Woodrow Rorie. This is one of several attacks involving pit bulls this year in the Pee Dee. Corrine Hatchell,83, of Hartsville was attacked by two pit bulls and two mixed breed dogs earlier this month outside her home in Hartsville. Eric Rogers,28, of Dillon was critically mauled by two pit bulls on Wilderness Place in Dillon. Both Rogers and Hatchell continue to recover from their injuries. 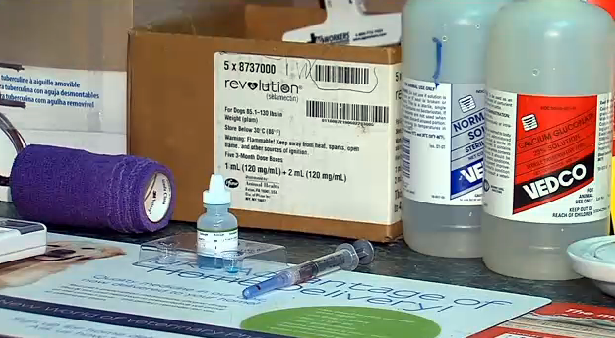 Florence veterinarian Dr. Kate Atwood of Cashua Veterinary Care said any dog has the potential to bite. "I think that pit bulls get a bad stereotype. You know we have lots of pit bulls that come in as patients that are a part of, you know, they're loving members of their family and you know they make great pets," explained Dr. Atwood. She added pit bulls need to be well-trained and loved. "They need to be socialized and need to have good loving home with owners that are educated about the breed." Atwood said if your pit bull or any dog is aggressive, you need to let others know before they come in contact with the animal. Katewood said, "If you have a dog that is tends to be more aggressive, that is warning people about your dog . And you know keeping and following local ordinances and leash laws. And all that is important and a part of being a responsible pet owner." The American Veterinary Medical Association says nearly 800,000 people are bitten by dogs every year. It adds that any dog can bite, even the cuddliest and sweetest pups can bite if provoked. If you are bitten by a dog, you're advised to first seek medical treatment for your wound. You're then advised to call police and let them know everything about the dog, including the name of its owner, color and size. This information will help police and animal control officers locate the animal. MICHIGAN -- A 3-year-old Pontiac boy was severely injured after being mauled Wednesday night by a pit bull terrier. The child was playing with an 8-year-old neighbor at about 7 p.m. Wednesday when the dog attacked, and he suffered severe bites to his head, face and neck, said Oakland County Undersheriff Mike McCabe. 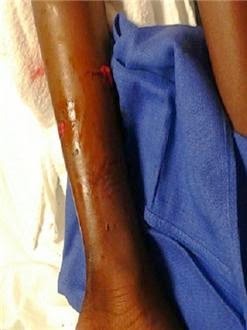 The 8-year-old was bitten on his hands while trying to pull the dog off the toddler. “The parents heard the boys screaming and were able to get the dog off the child and took the child into the house,” McCabe said in a statement. The toddler was first taken to McLaren Oakland and then transferred to Beaumont Hospital in Royal Oak. He has numerous lacerations, must undergo multiple surgeries and could lose his left eye, McCabe said. 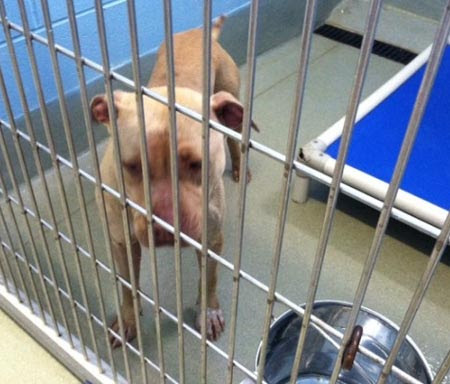 The 1-year-old pit bull terrier involved in the attack is in custody at Oakland County Animal Control and has been given up by its owners, said Administrative Supervisor Sgt. Joanie Toole. 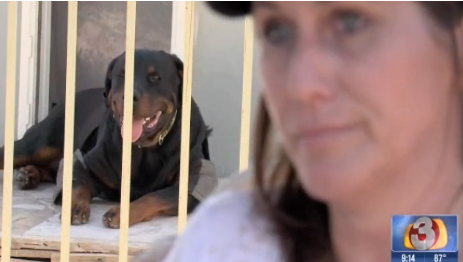 The dog will be euthanized after a 10-day quarantine period, she said. McCabe said the dog had its vaccinations. Tom Casbar, who lives across from the house on Melrose Street north of University Drive where the attack occurred, said he sold the pit bull to his neighbor for $50 in cash earlier this month. "It’s a red-and-blue-nosed pit,” said Casbar, 53, who said he’s shocked by the attack. Casbar said he got the dog from a coworker and had it four days before selling it to his neighbor. He was on the phone Wednesday night when the attack happened and saw flashing lights as first responders arrived. The dog had been tied to a tree, on a long lead, in the backyard of the Melrose Street home, according to the undersheriff. The attack comes less than three months after a string of attacks in Pontiac by two German shepherds that left two women with serious leg injuries. CANADA -- Police say two dogs were seized from a north end home where a man was badly injured and later died. Officers couldn’t confirm reports the man had been mauled by the dogs. It happened in the 1100 block of Mountain Avenue at about 10:30 Thursday night. 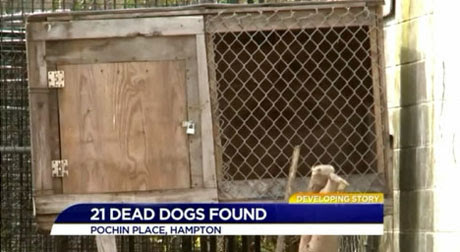 The city’s animal services department was also involved in the investigation. UNITED KINGDOM -- A devastated pet owner is seeking help to track down the two dogs which mauled her beloved cat to death. A devastated pet owner is seeking help to track down the two dogs which mauled her beloved cat to death. Linda Williams was celebrating her birthday with her daughter when they heard their cat, Macy, screaming in their back garden. Linda’s daughter, Stephanie, rushed outside to find two dogs viciously attacking the pedigree Burmese cat. One had the cat’s head in its mouth, while the other was biting into her back. Linda, who turned 56 on Good Friday, said the tragedy unfolded from about 8am. “It was my birthday and me and my daughter, Stephanie, had been opening presents and cards in my bedroom,” she said. Linda, of St Anthony Road, Crookes, rushed down to see two dogs - one white and one grey - attacking 14-year-old Macy. “They were shaking her and pulling her,” she said. The dogs eventually ran off and Linda cradled Macy in her arms. There was blood coming out of her mouth and she was so disorientated and frightened that she bit Linda’s hand, causing a nasty injury. Linda and Stephanie, aged 32, rushed Macy to the emergency vet but it was too late and Macy died. The vet said she had suffered a suspected broken back and multiple injuries. “My worst fear was always her getting run over,” said Linda. Linda is now trying to trace the two dogs so they can be stopped before other animals suffer the same fate. They are described as about the height of an Airedale with coats that were either short and curly or clipped. The dog warden and police are both aware of the incident and are investigating. Macy’s ashes are to be placed in a planter in the Williams’ garden. Friends, family members and well-wishers have sent Linda and Stephanie plants so they can create a small memorial garden. Anyone with information about the dogs can call Linda on 0114 266 5212. UNITED KINGDOM -- TERRIFIED pet Benji needed two life-saving operations after he was mauled in an attack by a pack of dogs. The two-year-old – a cross between a jack russell and a shih tzu – was chased by nine other dogs while out with owner Rob Redfern in Eaton Park. 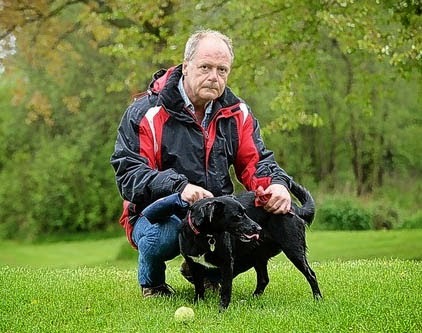 Mr Redfern's other dog Molly, a four-year-old Patterdale terrier cross, evaded the animals, none of whom were on a lead. 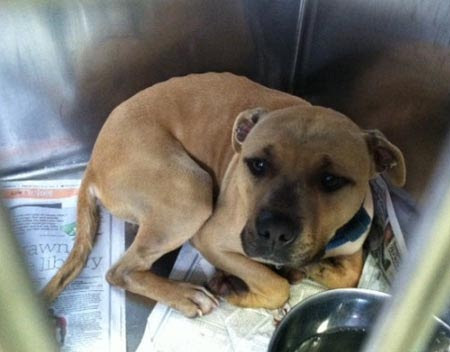 But one Staffordshire bull terrier caught Benji's side twice, leaving him with two detached ribs. And as he tried to free Benji, Mr Redfern suffered four puncture wounds to his cheek. He said: "The whole episode was horrendous. "My two dogs have never harmed anyone. They're such friendly and bubbly characters and should be allowed to enjoy themselves in public." The dogs were attacked on Monday at 6.55am while Mr Redfern was walking them in Drake Close. Benji underwent a 90-minute operation on Tuesday at the Churnet Valley veterinary clinic. He was back in surgery yesterday to repair the muscle, tissue and bone damage to his sides. Mr Redfern, aged 60, of Eaton Park, said Benji will now be forced to stay at home for a few weeks. He added: "Myself and the two dogs were just doing what we do every morning and going for a walk. "Prior to the attack, I hadn't seen the owners or the nine dogs before, but from the moment the dogs saw us they charged very quickly. "Two of the men managed to gain some control over the dogs after Benji was caught for the second time." Mr Redfern said three men were with the pack of nine dogs – two of whom he said to be in their 20s with another man believed to be in his late 40s. He added that the incident was out of character for the 'quiet and respectable' Eaton Park area. A spokesman for Staffordshire Police said: "It was reported that at around 6.55am on Monday 21 April, a man was walking his two dogs off lead in Drake Closet. 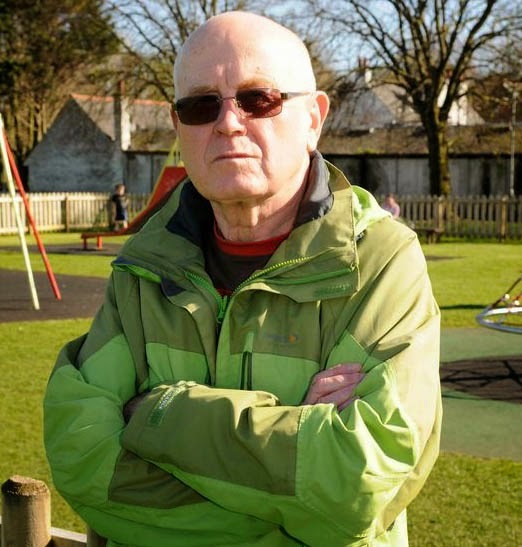 "There were several other people also walking with their dogs off lead. 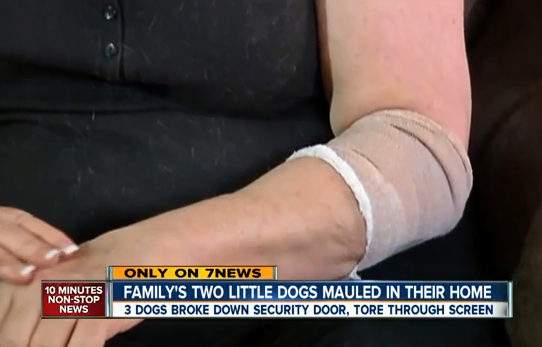 "One of the man's dogs was reportedly attacked by the other dogs. 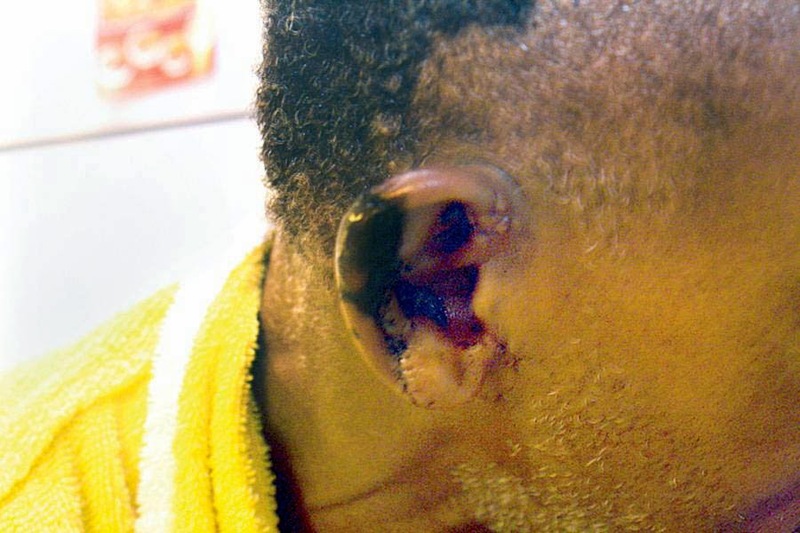 Somehow the man received a small scratch to his face but it is not clear how this happened. "The man was not able to describe any of the people and from the information given there were no offences committed." Mother of mauled baby had "taken in" pit bull which "had a history of biting". CANADA -- A 14-month-old girl is recovering in hospital after a pit bull terrier attacked her inside a Nepean home and had to be pried from her face. Cali Leclair was rushed to the Children’s Hospital of Eastern Ontario in serious but stable condition Sunday morning at 9:30 a.m. after being freed from the dog’s grip. Neighbours said the toddler’s father, Tanner Longworth, had to wedge the animal’s jaws open with his hands. 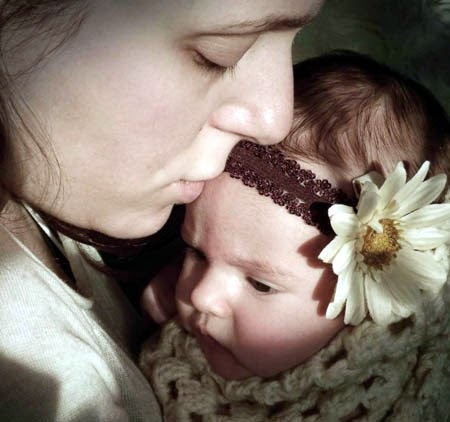 Christine Leclair and daughter Cali. The girl’s desperate mother, Christine Leclair, had been unable to free her daughter, who was attacked after moving to pet the black pit bull named Boss. The dog had just joined the family. Neighbour Vicky Gibson, 30, said Leclair took the pit bull into her Draffin Court home on Saturday in an attempt to rehabilitate the animal, which had a history of biting. The dog, she said, was fine on the first day, but lashed out at Cali Sunday morning. “The baby went to pet the dog — the dog was laying down — and the dog snapped; it bit her right on the face,” said Gibson, a neighbour and close family friend. Gibson rushed across the street when she heard the ambulance and was confronted by a scene of blood and tears inside the house. The dog had torn off much of the child’s nose. “The sight made me nauseous,” Gibson said. Leclair owns two large dogs of her own, including a German shepherd, and is known as being generous to a fault. “Christine was so kind, she thought she’d take the pit bull for a week or so to help out the owner’s family,” said another neighbour, Beatrice Mushanga. Boss, the pit bull, had bitten the owner’s own child in the mouth, she said. But that unnamed owner didn’t want to put the dog down so Leclair agreed to look after it for a week despite its history. According to initial reports from paramedics on scene, the pit bull had torn the girl’s nose from her face and had inflicted deep puncture wounds, some of which had exposed the bone beneath. Ottawa police secured the animal and are investigating the incident, which occurred just after 9 a.m. in Nepean’s Centrepointe neighbourhood. In Ontario, it’s illegal to own, import or breed an American pit bull terrier, American Staffordshire terrier, Staffordshire bull terrier or any similar breed. The provincial government announced it would ban pit bulls in early 2005, shortly after Ottawa’s Jayden Clairoux, a two-year-old boy, was mauled by three pit bull-type dogs near his home. Under terms of the ban, which took effect in August 2005, people who already owned pit bulls were allowed to keep their animals, but had to ensure they were neutered or spayed. The dogs are supposed to be muzzled and leashed in public. What’s not clear is the extent to which the province’s pit bull ban is policed by the city’s bylaw enforcement officers. One dog owner, Eric Perron, told the Citizen that he has complained about unleashed pit bulls at Bruce pit, only to be told by bylaw services that it does not deal with that legislation. Mayor Jim Watson, speaking to reporters at the launch of his re-election campaign, said he supported the pit bull ban at Queen’s Park and wants it enforced. “We know that these dogs are bred for attacking and they have the strong clenching jaw. Sadly, these events teach us each and every time why we need a law like we do,” he said. Watson said the city does enforce the ban, which often puts bylaw officers in the difficult position of trying to ascertain the precise breed of an animal. Some dog owners also circumvent the law by registering their pit bulls as a different breed or by not registering them at all. 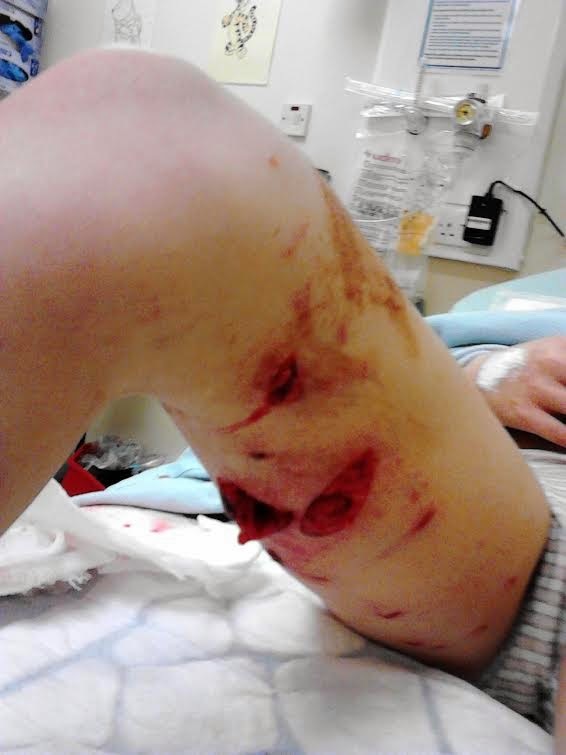 NEW ZEALAND -- The owner of two Rottweilers which mauled an 8-year-old Christchurch boy has pleaded guilty. Mason Bennett, 8, was hospitalized and required plastic surgery for bite wounds to his head, face, and leg after being set upon at Linfield Park, Bromley, near his Rudds Rd home on August 17 last year. Mason, the son of Sparks' partner, had taken the dogs for a play when they turned on him. The dogs were destroyed two days later. Ralph Neville Sparks, 44, appeared at Christchurch District Court today where defense counsel Serina Bailey said he now admitted a charge of owning dogs that attacked a person causing serious injury. The Linwood painter will now be sentenced on July 18. Judge Robert Murfitt called for pre-sentence and reparation reports. OHIO -- Police responded to a Dayton home after a man reported his dog was mauled to death. Officers were dispatched to the 100 block of East Maplewood Avenue around 7 p.m. Saturday on reports of a dog complaint. When police arrived, the caller told them his black Chihuahua had been mauled to death by his neighbor’s two pit bulls. Another neighbor reported seeing the two dogs attack the Chihuahua. When officers investigated, they found the dog dead in the backyard with a large bite mark on its neck. 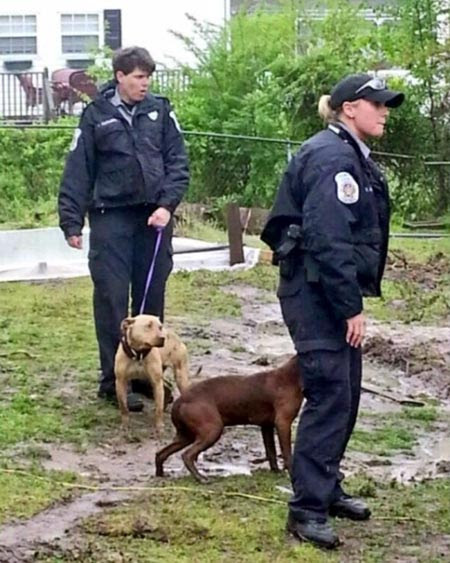 Officers tried to make contact with the owner of the two pit bulls but no one was home. 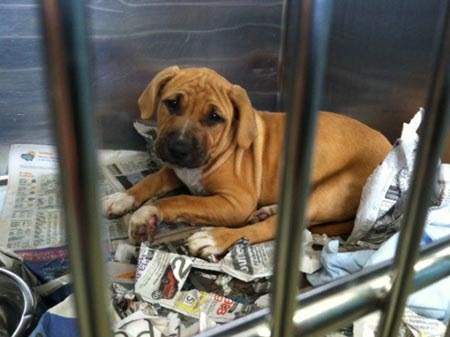 Police contacted the Animal Resource Center to follow up with the investigation. 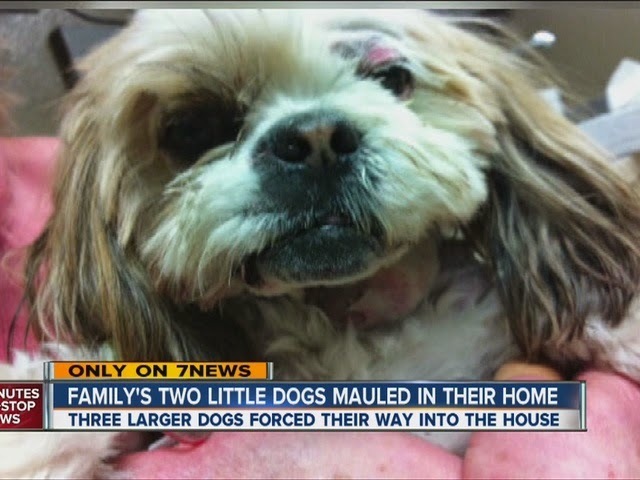 COLORADO -- Two small dogs were mauled in their own home after three larger dogs forced their way into the house and attacked them, according to Denver Animal Control. 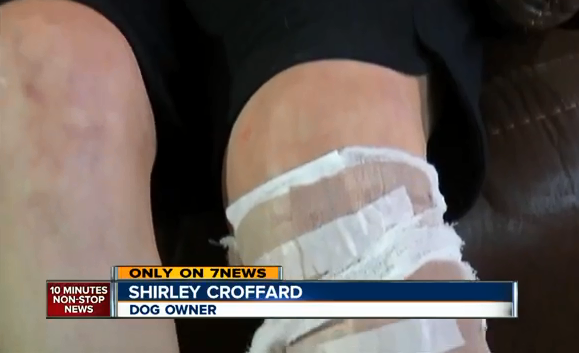 The larger dogs ripped the screen off the front security door of Shirley Crofford's West Denver home on Saturday night. Crofford said the security door made her feel safe when she bought it last year. But at 5:00 Saturday night, she watched in horror as the larger dogs managed to get through it and attack her small-breed dogs. "It was unprovoked. It was behind a locked door and still as a pack they came and destroyed," said Crofford. When Crofford stepped in to protect her dogs, she was bitten, too and had to go to the hospital to have the wounds cleaned. 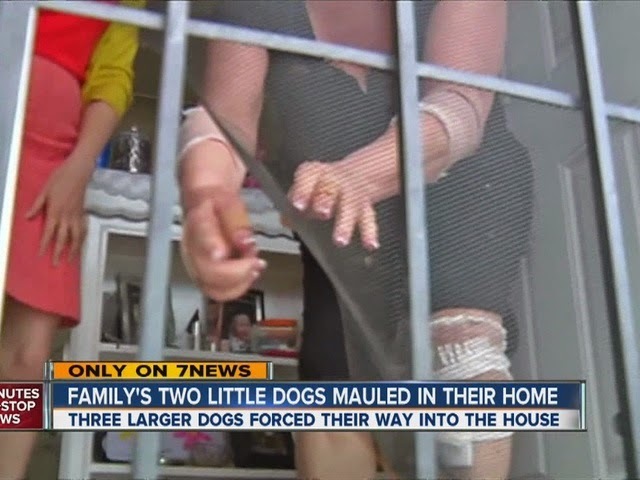 "I saw the dog on top of her and her screaming," said Albert Garcia, a neighbor who was also bitten by the dogs while trying to pull them off the smaller dogs. Denver Animal Control said the dogs were two mastiffs and a possibly a pit bull. Crofford's dogs were taken to an animal hospital where they are recovering tonight, but one may need several surgeries to survive, she said. 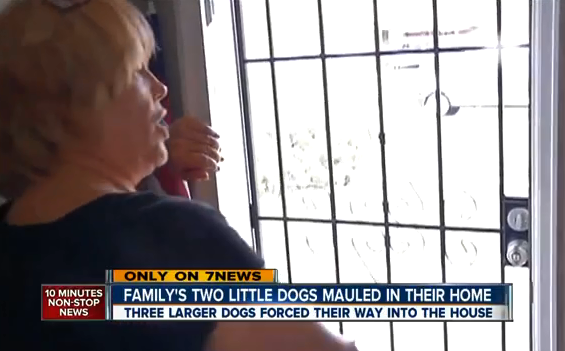 When NewsChannel5 Scripps sister station 7NEWS reporter Jaclyn Allen tried to talk to the owner of the larger dogs, a man inside the home told her to get off the porch. 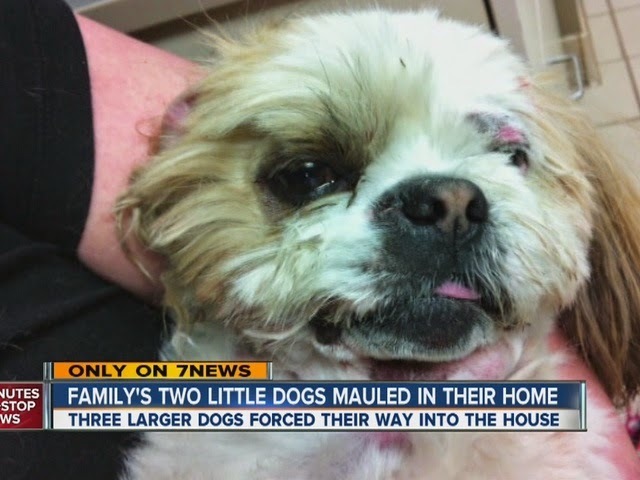 While the neighbor didn't comment, Denver Animal Control told 7NEWS they issued several citations and impounded the three dogs for public safety. "Yes," said Garcia. "They’ve been out of the yard. They’ve been in my backyard." Now, neighbors tell 7NEWS they are worried about their own safety and the safety of their children if the dogs are allowed to return again. "The horror of it all," said Crofford. "It's unbelievable this could happen to you in your own living room." 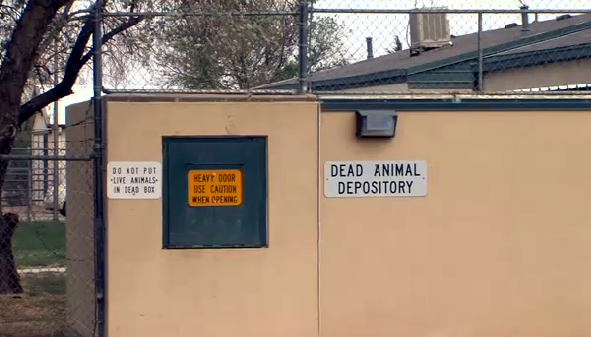 7NEWS learned that two of the three dogs held by Denver Animal Control are on a 10-day bite quarantine. Animal Control said the dogs have been impounded before. Neighbors tell 7NEWS it was for running loose in the neighborhood. WISCONSIN -- Workers at a Wisconsin Humane Society have rescued two male eagles entangled in a turf war. Humane Society supervisor Kathy KasaKaitas said the raptors are territorial and one had apparently invaded the other's air space. KasaKaitas and animal control officer Lucas Brennan became referees in the eagles' fight in an Onalaska neighborhood Tuesday. The eagles began scuffling in the air, then landed together on the ground. KasaKaitas and Brennan had the dicey task of separating the birds' entangled talons without getting hurt themselves. "They're strong," KasaKaitas said. "Their feet basically lock on. We were concerned that, if their talons grabbed one of our arms or legs, it would have caused a severe injury." Unable to get a gloved hand between the birds, the two used a screwdriver to pry the claws apart. "As we got one foot released, we wanted the eagle to hold on to something so it couldn't regrab while we worked on the other one," KasaKaitas said. They coaxed one eagle into latching onto the screwdriver handle instead of slicing into his adversary — or them. 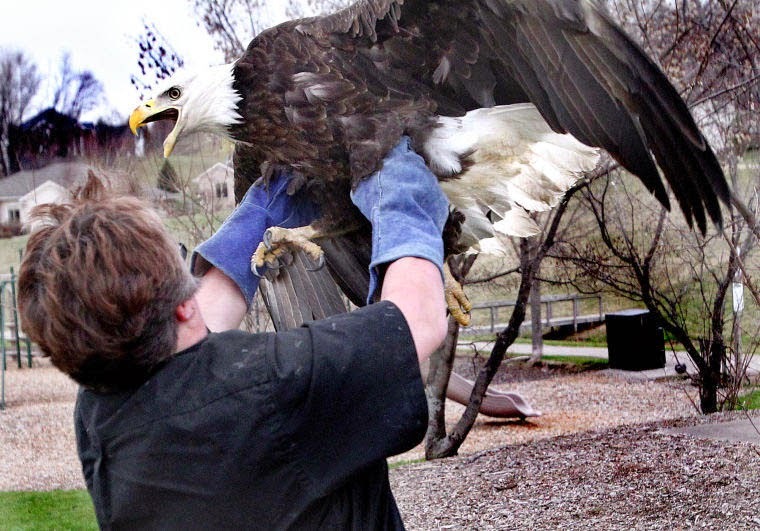 After the eagles calmed down, they were taken to the society's headquarters. One was given antibiotics for its injuries. The other, apparently the aggressor, appeared unscathed, KasaKaitas said. Both birds were released Wednesday. TEXAS -- A former employee of animal control came forward Friday saying she witnessed improper euthanizations on a daily basis. She alleges cats were never given a sedation drug, nor were puppies. She also explained the cats and puppies aren't always given an inter-cardial shot or a shot to the heart, meaning they do not die instantaneously. Dr. Dusty Demere explained to us that this means the dog is forced to absorb the acidic drug in its body until it dies. In Texas law there is a section of the code that says they can give the kill shot within the chest cavity of the animal without sedation if they give three to four times the lethal amount. However, as previously mentioned by an animal control officer at Amarillo's Animal Control meeting on Monday the shelter has no scales, so they would have no accurate way of performing that procedure.